The NBC journalist who covered - and took fire from - Donald Trump on the campaign trail offers an inside look at the most shocking presidential election in American history. 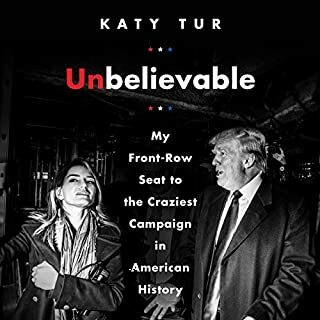 Intriguing, disturbing, and powerful, Unbelievable is an unprecedented eyewitness account of the 2016 election from an intelligent, dedicated journalist at the center of it - a thoughtful historical record that offers eye-opening insights and details on our political process, the media, and the mercurial 45th president of the United States. 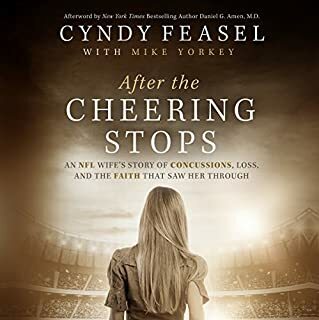 Grant Feasel spent 10 years in the NFL, playing 117 games as a center and a long snapper mostly for the Seattle Seahawks. The skull-battering, jaw-shaking collisions he absorbed during those years ultimately destroyed his marriage and fractured his family. Grant died on July 15, 2012, at the age of 52, the victim of alcohol abuse and a degenerative brain disease known as chronic traumatic encephalopathy, or CTE. Growing up poor in Mountain Pine, Arkansas, with a young, addicted mom, Bobby Estell fell in love with country music. 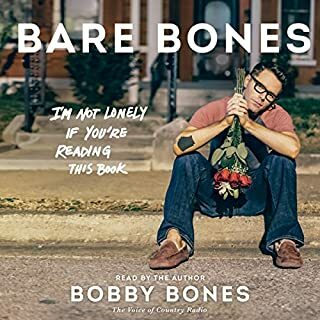 Abandoned by his father at the age of five, Bobby saw the radio as his way out - a dream that came true in college when he went on air at the Henderson State University campus station broadcasting as Bobby Bones while simultaneously starting The Bobby Bones Show at 105.9 KLAZ. In the span of four months in 2012, Tig Notaro was hospitalized for a debilitating intestinal disease called C. diff, her mother unexpectedly died, she went through a breakup, and then she was diagnosed with bilateral breast cancer. Hit with this devastating barrage, Tig took her grief onstage. Days after receiving her cancer diagnosis, she broke new comedic ground, opening an unvarnished set with the words, "Good evening. Hello. I have cancer. How are you? Hi, how are you? Is everybody having a good time? I have cancer." On February 28, 2000, Adnan Syed was convicted and sentenced to life plus 30 years for the murder of his ex-girlfriend, Hae Min Lee, a high school senior in Baltimore, Maryland. From the moment of his arrest, Syed has consistently maintained his innocence. Rabia Chaudry, a family friend, always believed him and has never given up the hope that he might someday be released. By 2013, however, after almost all appeals had been exhausted, things looked bleak. That was when Rabia contacted Sarah Koenig, a producer at This American Life, in the hopes of finding a journalist who would bring greater attention to Adnan's story and might shed new light on the case. Koenig's investigation turned into Serial, an international phenomenon and Peabody Award-winning podcast. Adnan's Story will reexamine the investigation that led to Adnan Syed's arrest, share his life in prison, cover new evidence and possibilities that have since come to light and review the recent court successes - including a ruling by a Maryland judge to reopen Syed's case. Woven with personal reflections from Adnan himself, including new never-before-seen letters he penned from prison and the story of his family, community, and public advocate Chaudry, the audiobook offers new insight into the story that captivated the attention of millions as his legal team and investigatory team, along with countless others who have crowd-sourced an investigation like never before, seek to exonerate him and find out the truth of what really happened on that day in 1999. What has captivated the public about Adnan's story are the layers of contradictions, fascinating characters, cultural dissonance and fog of ambiguity around what really happened to Hae Min Lee. But this is not just a personal story; it is a testament to a thoroughly broken system that convicts tens of thousands of innocent people and how the power of the media and public can move rigid institutions to bring about justice. I have been following Adnan's story on Serial, Undisclosed and other podcasts and maybe because he's same age as me or maybe because despite what life has handed to him, I feel connected to him on a personal level. I wish him all the very best and think of him often and pray that justice will be served. Inshallah. Serial reported the story well. BUT Adnan's Story delves into the details as well as humanises Adnan. Rabia eloquently does justice by telling the story incredibly well. Her narration is point clear, concise as well as well researched. Personally I have learned a great deal about law enforcement from Rabia as she has clearly shown in this book. I pray Adnan is freed soon enough and that the murder of Hae is reinvestigated and the real murderer is brought to justice. I definitely recommend this book. So good. Already want more. I hope Rabia does a sequel as Adnan's story continues to unfold. This is not simply a rehashing of Serial and Undisclosed. This contains lots more substance, background, and depth. I feel now that I know Adnan, his family and his friends better. I feel like the book digs deep into their side of the story without forgetting Hae. Would definitely recommend! Fascinating insights from behind Serial and Undisclosed - definitely worth reading if you are already entrenched in this sorry saga - with lots of details not publicly shared before. Rabia - how you are still sane and going strong is beyond me. Amazing woman. Adnan will get justice, i just hope the detectives responsible do too and a proper investigation into Hae's death can take place. Even having listened to all the Serial and Undisclosed podcasts there is still more to learn here. Rabia's voice makes listening really easy and the book flows well. This may be Adnan's Story but it is also the story of a special person who would not let injustice go unchallenged. Would you listen to Adnan's Story again? Why? What was one of the most memorable moments of Adnan's Story? There are many moments in this book that had me engrossed, it is difficult to pick just one. I suppose I especially enjoyed the sections on Sarah Koenig and Serial and would suggest that this book is a must read for anyone who enjoyed listening to the Serial Podcast. Again its difficult to choose one scene, but Rabia goes into great detail to describe how the state were able to manipulate not only witness statements but also key evidence. I really enjoyed hearing her describe how Susan Simpson her fellow podcaster from the Undisclosed podcast was/is able to explore through the evidence like a Sherlock Holmes style master detective determined to find the truth. I'm not sure that moved is the right word but the Asia McClain story still blows my mind. Not only the details about Adnans attorney lying to him about contacting her, but also the lies told by the state claiming she was harassed by his family and friends. I would suggest that this is a must read for anyone who has listened to the Serial Podcast! I could not stop listening to it and it had me engrossed from start to finish! the whole story from start to finish. easier to follow than the hours and hours of podcasts about the topic. heartbreaking story of a young woman who loses her life and a young man who's lost the best years of his life as a result. hopefully everything Rabia has done will result in Adnan getting a fair trial. I've listened to Serial, Undisclosed and truth and justice, so I was desperate to read the book too. There are jaw dropping moments and my heart poured out for Adnan so many times. It was beautiful to hear short exerts from the Qu'ran that showed it to be powerful and peace loving, not what we have become to be accustomed to hearing and as I'm not a Muslim, I was even more enthralled. I believe we can all learn from Adnan and I pray too that one day he will be free. The book was clear, concise and very easy to follow. I am definitely going to listen to it again, just because I was so engaged in it. Rabin, good for you. I loved that I got to learn more about you too, you are even more inspirational than you know. If you listened to Serial then read this! I was an avid listener of both Serial and Undisclosed (and still am of the latter). To me this book was yet another insight into the story behind the murder of a poor young woman and the bloody minded police force and prosecution who were looking for a quick win. Tastefully handled, the author explores why Adnan could not and did not (in her opinion) commit the act for which he has spent over half of his life in jail. 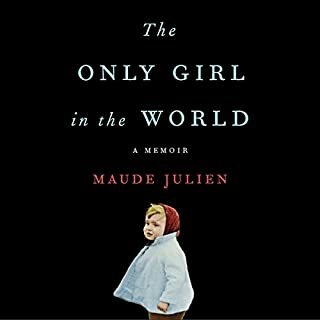 Having followed the journey from Serial via undisclosed and now with this book I remain to be convinced that she is wrong. The book also touches on life as a Muslim in a country which is divided as to whether Islam and its followers ought to be reviled. If you could sum up Adnan's Story in three words, what would they be? There is no best parts it's a truly great insight into the American justice system..
Where does Adnan's Story rank among all the audiobooks you’ve listened to so far? This is a powerful audio book, made compelling by the earnest explanations of the author as she explains how the Maryland Justice system failed murder victim Hae Min Lee and created a second victim by wrongfully convicting her friend Adnan Syed. While this case has received substantial on-line coverage, this book gives insight into Adnan's life in prison and how the family struggled with daily life until the case gained public attention. What does Rabia Chaudry bring to the story that you wouldn’t experience if you had only read the book? Rabia lived through this hell, and her reading brings explanation you could not necessarily see on the page. This is a must read in the cause of pursuing judicial reform - to bring justice for victims of crime and reduce the risk of wrongful conviction, it is necessary to face up to the ugly aspects of a judicial culture where judicial systems chose targets of convenience to clear case books and meet performance statistics then with near religious conviction defend mistakes rather than support revelation of truth. 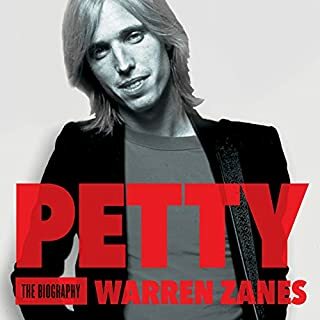 Despite having devoured the associated podcasts, Serial, Undisclosed, Truth and Justice, this book was still able to provide never heard before information. It lays out Adnan's story and gives insightful context and background information to what happened. This book is a must for any followers of Adnan's case. Loved it a clear insight into the story of Adnan and Hae's murder. well read and told by Rabia . Was moved to tears during and after this reading! What a gifted writer you are Rabia! And what a beautiful soul Adnan is! I am profoundly sad for what life has dealt him but so encouraged by your words Rabia, of how life is full of challenges & torment and it is how one handles them that is the making of the man! Adnan has shone above most!! 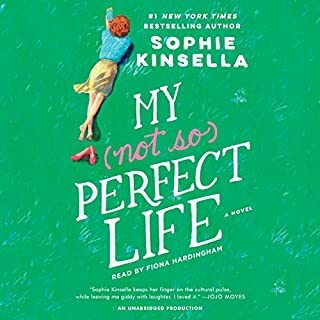 My favourite audible book to date!!! Podcast. New info and evidence and a lot of new suspicions... Definitely worth a listen! So easy to listen to. Brings out a few emotions that I wasn't expecting. I hope justice prevails. What did you like best about Adnan's Story? What did you like least? I loved the podcast and this started off as interesting as a bit of background and more detail into the character's life but it was too repetitive and seemed very biased. I liked that it was narrated by Rabia and her back story was interesting, admirable actually. But the story was just too repetitive. Did Adnan's Story inspire you to do anything? Rabia has taken this seasoned Undisclosed listener back through time to experience Adnan's story as though I was there beside her experiencing every high and low of this tragic tale of injustice. 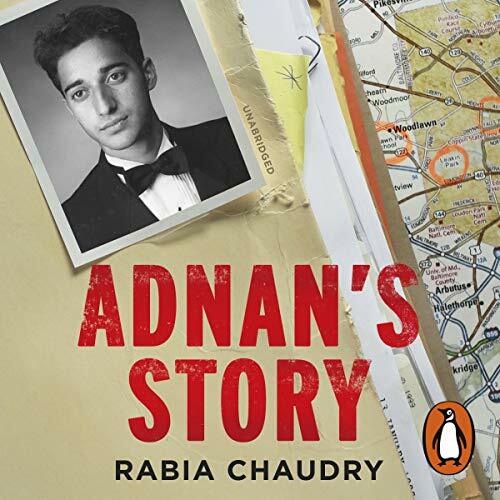 No-one else could have narrated this book as Rabia's genuine passion for Adnan's cause can be heard in every word. I initially wasn't very interested in reading this book; thinking it would be a rehash of the podcast. Boy was I wrong. The level of emotion and detail included in this book are just transfixing. Rabia is a great writer and her voice is easy to listen to. The story is so heartbreaking yet beautifully told. This is a must read if you are interested in Adnan and his quest for justice. A wonderful insight into a terrible miscarriage of justice. Well done. A must read for anyone interested in the case. I cannot recommend this book highly enough as it provides a deeper understanding in to the community and background of Adnan Sayed and his family. Total misunderstanding of the Muslim traditions and customs contributed to Adnan's unfair trial and as author Rabia Chaudry relates her experiences over the years we have an insight in to his world in a way the Serial podcast could not. Rabia is a firecracker and a remarkable role model for us all. This book is for everyone wanting to understand how this young man has been failed by the legal system and society. It is also a story about the power of social media and how the Internet has brought us all closer. With our earbuds in we wait to hear the next instalment of our favourite podcast and we become a part of so much bigger than ourselves. Rabia reminds us there is often more than what meets the ear in this tale and that justice has not been done for Hae. I was looking forward to this one but didn't live up to expectations. I found it heavily biased (I suppose as it naturally would being written by a close family friend). I find it amazing and scary that people who listen to Serial and read this book can write a review believing without a doubt that Adnan is innocent. The same goes for Making a Murderer and people immediately (and blindly) believing the guilty to be in fact not guilty, all while watching a one-sided albeit it absorbing documentary. Lots of questions all round remain, either way hopefully the correct person is in prison or is sent to prison. There were also many times in the book where Rabia spoke at length regarding her personal issues/ feelings and also what she was going through etc. Now I know this is important to her and it's her book, but people are reading/listening to this and want to know about Adnan and anything directly relating to the case. I have to admit i ended up skipping over some of the parts that related to Rabia personally. There are always several different sides to a story, but the truth is all that matters and hopefully that has or will happen. I for one have not read the court transcripts and therefore cannot form an educated opinion on guilt or innocence. I do hope if Adnan did not receive a fair trial though that this will be rectified soon. What did you like most about Adnan's Story? Wonderful narrative about the Adnan story and his innocence and wronful persercution.